Our patented LightNG Engine is an opposed piston rotary engine that can deliver 10 horsepower from an assembly the size of a 2-liter bottle of soda and weighs only 5 pounds. 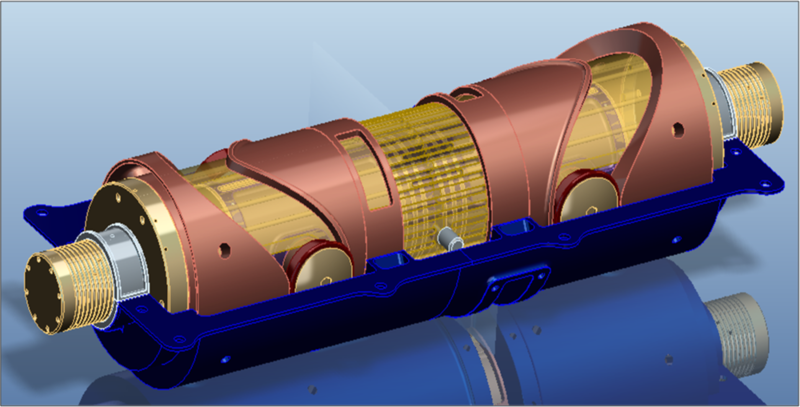 Stratetek’s novel and scaleable approach utilizes the elegant simplicity of barrel cam rollers and a rotating cylinder to eliminate heavy crankshafts, connecting rods, valve trains, and engine heads, with significant cost and weight savings and improved fuel efficiency. Applications for our LightNG Engine in the 10 horsepower range include portable diesel generators, unmanned aerial vehicles (UAVs), and other systems requiring small efficient engines. Applications for our LightNG Engine in the 100-300 horsepower range include military/industrial diesel generators, marine engines, automotive engines, and propeller-driven aircraft. These improvements will bring significant life-cycle cost savings to Stratetek’s customers, whose market sizes are as follows: Generators: $22.4B; UAVs: $13B; Marine Engines: $3B; and Automotive Engines: $400B. The US portable diesel generator market will be pursued first, with 600,000 yearly units and a 9.46% yearly growth rate. Our three- to five-year development plan is expected to require approximately $10M of total funding, with our current efforts focused on building and testing a 10-horsepower prototype engine via a cost sharing partnership with GSE Inc. GSE has a 30-year history in innovative diesel engine systems development for military applications with comprehensive prototyping and testing capabilities and has agreed to develop, build, and test a 10-horsepower version of our engine by the end of the year at a fraction of their costs. About Stratetek – Stratetek’s Founder, Mark McNitt, has 20 years of experience in the Aerospace and Defense Industry and holds a Bachelors Degree in Aerospace Engineering and Mechanics and a Masters Degree in Management of Technology. Stratetek is honored to be the 2015 Minnesota Cup Energy/CleanTech/Water Division Winner and has secured the support of its lead investor and minority partner, Matt Johnson, founder of Aerovar Holdings, LLC. Matt Johnson is a retired US Air Force officer, a Wharton graduate, and has 20 years of experience in private equity and banking, becoming a founding partner of the Euro 1.3 billion Apollo European Principal Finance Fund.